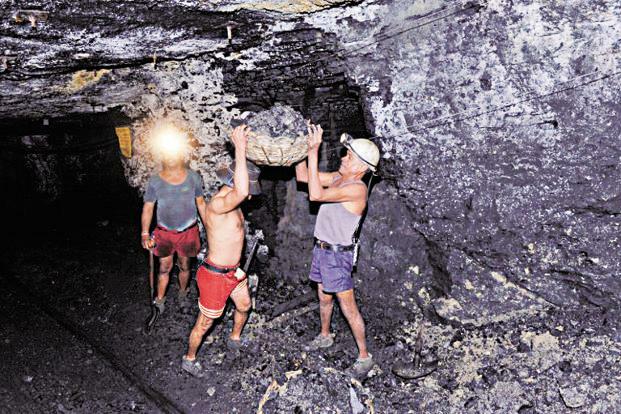 A web based portal for keeping track and maintaining the payments, salaries and other benefits for the thousands of labours working under the Coal India is scheduled to be launched. The central govt. has made this announcement of launching this dedicated web portal for contract labours who have been engaged in various duties of Coal India. The date of launch is decided to be on 4th May, 2016, just three days after the Labour Day on 1st May. This online management system to manage the payments of the contract labours will be maintained by a consultancy body of the Coal India named CMPDI. Maintaining database of all contract labours of Coal India Ltd.
One of the main aims behind the web portal for the betterment of the contract labours of the Coal India is to maintain the database of the labours. The labours contracted by various departments and subsidiaries of the Coal India do not have a centralized database system. The details of the contract labours are with different bodies of the Coal India. But the central govt. has decided to keep a single database of all the contract employees of the Coal India so that their job benefits, salary increments, payment structures, provident fund benefits and other allowances can be administered efficiently. The central govt. has decided to provide unique identification numbers or WIN to every contract labours of Coal India. This unique identification number will be given to all contract labours working in different departments, wings and work sites of the Coal India. This identity number will be registered in the web portal and the labours can access their employment status, personal details, salary structures, allowances and other benefits. Provident fund benefits and medical insurance benefits will also be provided through this portal. Why there is a need to develop this centralized web portal for contract labours? The contract labours working under various departments and subsidiaries of the Coal India lack some fundamental requirements at this stage. They work in an unorganized manner. There is no such administration and data maintenance of the wages earned by these labours. There are several guidelines for the employment of the contract labours described in an act passed by the constitution. But these guidelines are hardly followed anywhere. There is no strong grievance registering mechanism for these contract labours. So the Govt. ahs decided to come forward to develop a web based labour management system. The new web portal which is to be launched will have another unique feature added to it. Any Indian citizen can have open access to the web portal. They can view the details of all the contract engagements of the labours working under different bodies of the Coal India. They can go through the details of the salary structures, wage payments and other employee details of the contract labours. Anyone can register complaints about any irregularities through this portal. Monitoring and implementing the Contract Labour (Regulation and Abolition) Act, 1970. The centre has decided to have proper monitoring of the employment and payment conditions of the contract labours of the Coal India. It has decided to go with the rule book and implement all the necessary steps for the overall betterment of these unorganized contract labours. This step will ensure all contract labours to have fundamental rights and not being discriminated on any grounds. All the database of the contract labours as well as the contractors working under various bodies of the Coal India will be maintained by the Nodal offices. It will be the responsibility of the nodal officers of various ranks to keep a track on the records of the labours and the contractors. The grievance matters of the contract labours will be addressed efficiently through these nodal offices. It will be their duty to implement the regulations and restrictions on the contract works and its labours. 3 Regulatory Act Contract Labour (Regulation & Abolition) Act. 1970.